i must admit i am no fan of the usual soggy,greasy, 'real meat' sausage rolls. oh my, lordy. 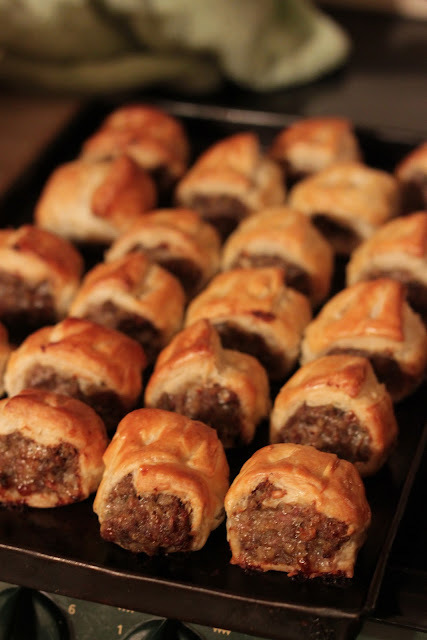 never have i wanted to eat so many sausage rolls back to back. they are so,so good. many congratulations to you and this recipe. a resounding success. i eagerly await your reinvention of other unpalatable party foods such as cheap cipolatas,party pizza and those trays of sandwiches that never get eaten. These sausage rolls look delicious. It's still a very tasty party classic. I have to make these for my boyfriend...he would LOVE them. they look way better than what i'm used to! hahaha. from the picture, i can tell that it tasted really good!